Dr. Magda Nenycz-Thiel is a Research Professor at the Ehrenberg-Bass Institute. She has been the first Mars funded chair at the Ehrenberg-Bass Institute and led a Mars Marketing Lab, an R&D initiative funded by Mars Incorporated between 2013-2016. Magda, together with a research team, pioneered the category growth research at the Ehrenberg-Bass Institute and in collaboration with Industry Professor Bruce McColl has been focusing on applying the discoveries to improve the ways the growth investments within organisations are made. Magda’s areas of expertise are category and industry growth, e-commerce and neuromarketing. 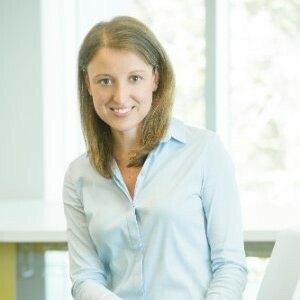 Magda’s work has been published widely in Journal of Advertising Research, European Journal of Marketing and Journal of Business Research. She is also an author of book chapters on physical availability management and e-commerce. Magda regularly presents at academic and industry conferences around the world. Magda is an Associate Editor at the Journal of Adversing Research responsible for the practitioners pieces corner. This role perfectly combines Magda’s academic background with her long term involvement with the industry.